Our Wimbledon Tennis Hampers have been inspired by the Great British food and drink enjoyed whilst watching the tennis. And what better part of Britain to represent than good old Devon? 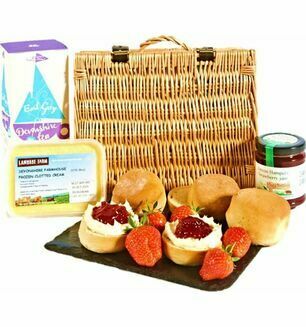 Including the finest local ingredients with a Wimbledon theme, it doesn't even matter if we don't get to the finals - if you get to enjoy one of these delicious hampers then you know you are on to a winner!